Another Exciting Wedding On The Sets Of Jersey Shore! Who? Snookie is already a happily married mother of two kids! 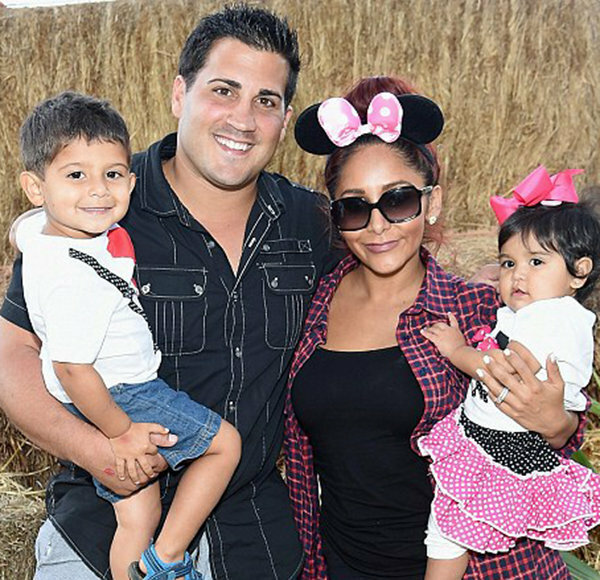 Snooki or Nicole Polizzi got married to Jionni LaValle in the year 2014, after 4 years of a happy married life Nicole or Snooki is now a mother of two beautiful kids, Giovanna Marie LaValle, Lorenzo Dominic Lavalle. Snooki’s best friend JWoww is already a happily married mother! Jenni Farley got married to her husband Roger Mathews in the year 2015, almost two years ago. Two years after her marriage, Jenni now has two beautiful children, Meilani Alexandra Mathews, Greyson Valor Mathews and now she plans for a third one! Both Vinny and Pauly recently broke up with their girlfriend! Vinny and Pauly getting married to each other!!??? It was one of the most hilarious weddings! Mike was playing the role of flower girl and albeit!